Disclosure: One of the authors on this paper (Duncan Forbes) is a faculty member at my university, but I only realized that after I’d already chosen to write about it—I had no involvement in the paper itself. Figure 1: An image of NGC 404, “Mirach’s Ghost,” taken by the Hubble Space Telescope. Image in the Public Domain. Today’s paper covers the discovery of another galaxy a bit further away from Mirach on the sky (about one degree), but so small and diffuse that it was only discovered a few years ago. In September 2016 an amateur astronomer named Giuseppe Donatiello was taking long exposures of the area around the Andromeda Galaxy, when he noticed a faint smudge in one of his images that didn’t match any known features, as seen in Figure 2. 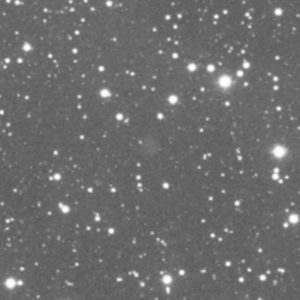 Figure 2: The discovery image for Donatiello 1, the result of combining approximately ten hours of observing with a 127mm refractor over four nights. Figure 1 in the paper. Figure 3: Images of Donatiello 1 taken with the TNG (left) and GTC (right). The TNG observation represents a total observing time of 24,300 seconds, while the GTC observed for a total of 3,300 seconds. The extremely bright and overexposed object in the upper-right part of the left image (which has a field of view of a little over 2°) is Mirach, with NGC 404 the small black object at the 2 o’clock position next to it. Figure 2 in the paper. Using the observations they’d taken, the authors were able to make estimates of some of Donatiello 1’s properties. It appears to be a dwarf spheroidal galaxy that is no longer actively forming stars, similar to many of the small galaxies orbiting the Milky Way and the Andromeda Galaxy within the Local Group. Nailing down its distance proved difficult, but they were able to constrain it to within about 8.1 to 11.4 million light-years away. This places it comfortably beyond the Local Group, meaning it’s not gravitational bound to it. If it lies around 10 million light-years away from the Milky Way it would likely be only about 211,000 light-years away from NGC 404, and possibly associated with it. 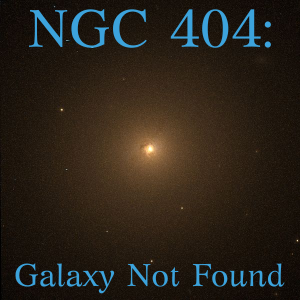 Interestingly, there is some evidence that NGC 404 has undergone a collision or interaction fairly recently; it’s been discovered to have a ring of on-going star formation, unusual for a lenticular galaxy. Donatiello 1 is also noticeably elongated and non-spheroidal, suggesting a possible recent interaction with NGC 404, but the authors note that more research will be needed to explore this intriguing possibility. 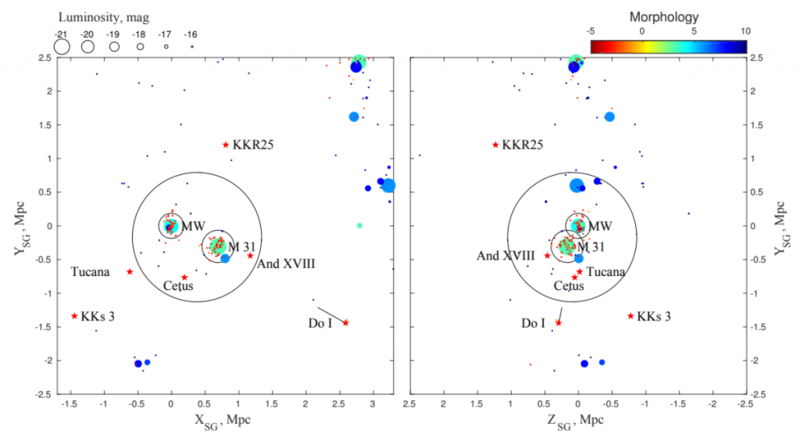 Figure 4: Two graphs in super-galactic coordinates showing the location of Donatiello 1 (marked as Do I) compared to the Local Group and some relatively nearby galaxies. Donatiello is marked with a red star; the black line leading from it represents the range of distances it is likely located within. NGC 404 is the faint orange dot almost beneath the marker for Donatiello 1. Colors indicate the type of galaxy according to standard galaxy morphology, with red generally meaning “elliptical” and blue meaning “spiral.” The large black circle around the Milky Way and Andromeda indicates the gravitational limits of the Local Group. Red stars indicate the position of particularly isolated dwarf galaxies; the use of one to mark the position of Donatiello 1 represents the uncertainty in its position and association with NGC 404. Figure 8 in the paper. In these days where professional telescopes are getting bigger and faster all the time, it’s inspiring to know that amateur astronomers can still make important discoveries like this. Amateur and professional astronomers have long worked together to uncover new aspects of the universe, and who knows what new wonders are waiting to be discovered out there tomorrow! I'm a second-year grad student at Swinburne University of Technology in Melbourne, where I search for variation in the fine-structure constant using solar twins in the Milky Way. Outside my research I enjoy a variety of creative enterprises including photography, painting, blogging, and video editing, or just relaxing with video games or classical music. Truly wonderful! Still so much to be discovered in this Universe. I hope there will be more discoveries from this Amateur Astronomer Giuseppe Donatiello. I have not visited Astrobites for a long time and this paper brought me back. Now, I will be purchasing a telescope from Celestron for Christmas. But sadly know I will not be able to view Donatiello 1? Glad you enjoyed the article! I wish you many happy hours with your new telescope.